A polling station in Liverpool ran out of ballot papers when an unexpectedly large number of voters turned out. Voters were left waiting as officials at the Dunbabin Road station in the Wavertree constituency sent for more. Liberal Democrat councillor Eddie Clein described it as a "huge, huge mistake" and launched calls for an inquiry. 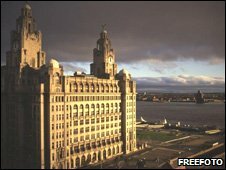 The party, which controls Liverpool City Council, also claimed that voters were turned away from queues at some polling stations. Council leader Warren Bradley said many people were locked out as the doors closed at 2200 BST. "In at least four polling stations that I know of across south Liverpool there were residents of this city that couldn't cast their vote," said Mr Bradley. "I'll be asking the chief executive for a full investigation into why that happened and also why something as simple as ballot papers weren't available at the polling stations at certain times of the day." Colin Eldridge, the Lib Dem candidate for Wavertree, also called for an investigation and described the ballot situation as a "fiasco". "We pride ourselves in being the mother of all democracies, we send people to observe third world countries, but frankly we've made ourselves look like some kind of banana republic." 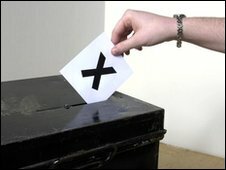 Other local councillors reported that at least one polling station in the constituency was closed for an hour. Returning officer Colin Hilton apologised for the problem, but insisted everyone who wanted to vote "had the opportunity to do so". Mr Hilton said: "Due to unprecedented and unexpected high turnout in the Wavertree constituency, a small number of polling stations ran out of ballot papers in the early evening. "As is normal procedure in these circumstances, additional ballot papers were delivered very swiftly to these stations. "I would like to apologise for any inconvenience this may have caused to some electors and would like to thank them for their patience in waiting until the new ballot papers arrived. "Every elector in the Wavertree constituency who wanted to vote had the opportunity to do so before polls closed at 10pm." In 2005, Liverpool Wavertree was held by Labour with a majority of 5,173 on a turnout of 50.8%. But boundary changes have led the Liberal Democrats to target the seat in the general election.